Compact, reliable, is Allen Co's Folding Sportsman's Saw. 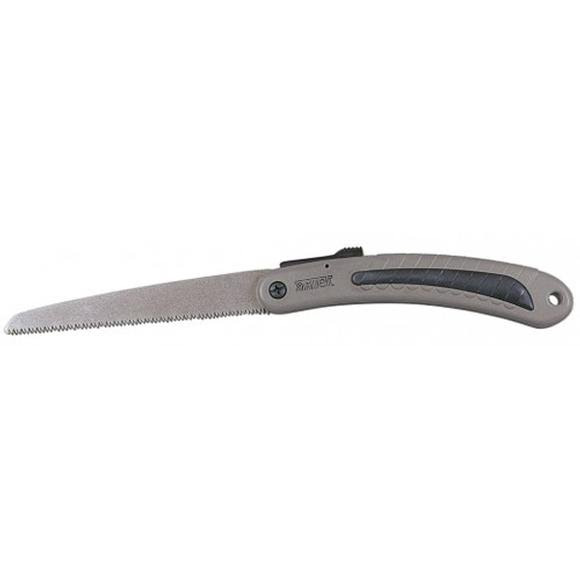 This saw fits nicely in your vest pocket for a clean cut whenever need it. Features a push-button actuated blade that locks closed, as well as locking in 3 different open positions for safety and convenience. Non-slip, soft molded rubber grip. Compact, reliable, is Allen Co&apos;s Folding Sportsman&apos;s Saw. This saw fits nicely in your vest pocket for a clean cut whenever need it. Features a push-button actuated blade that locks closed, as well as locking in 3 different open positions for safety and convenience. Non-slip, soft molded rubber grip.